Fruit salads are my favorite thing to eat in the summertime because they're sweet and watery with juices that get my mouth all red and sticky. But man do they make you feel good afterwards too! I love eating all raw meals since they dissapear so fast. Especially in the summer when I'm trying to rock my bikini. Fruit is one of mother natures best gifts. The luscious all natural juicy taste of fruit is nature's candy. Nothing beats it, and nature gives us so much choice! Oh fruit salad how you will never fail to please me in my lifetime. Strawberries and blueberries tend to be pretty expensive, but boy do they taste good! Thank God for stores that sell in bulk like costco! A frozen 5 lb bag is only $5! What a deal. Fruit salads are so easy to make, all you do is cut! There's not really a strict recipe for fruit salad it's basically what fruit you like and how big you want to cut them. Nothing added, your body loves it, your taste buds love it, your head loves it what are you waiting for! 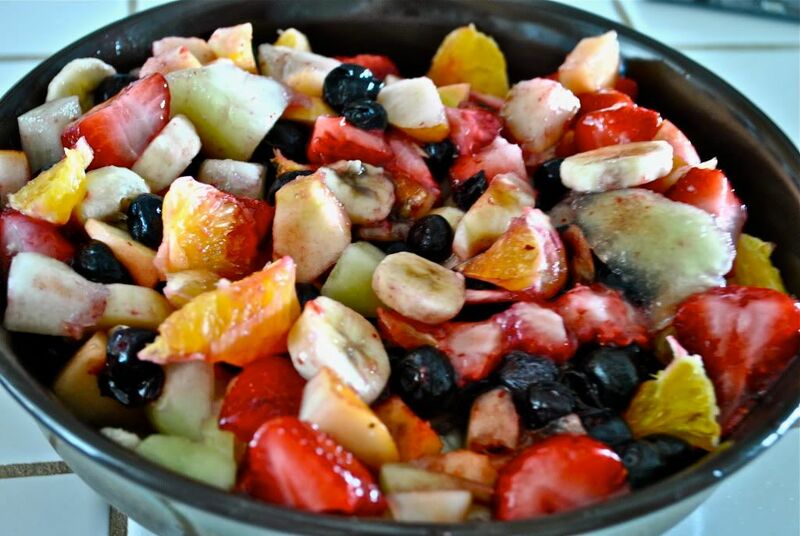 Check out more fruits to add to your fruit salad.